In this work, the nano composites of carrageenan/AgNPs/Laponite were prepared and coated on the oxygen plasma surface modified polypropylene film to enhance the barrier and adhesion properties. 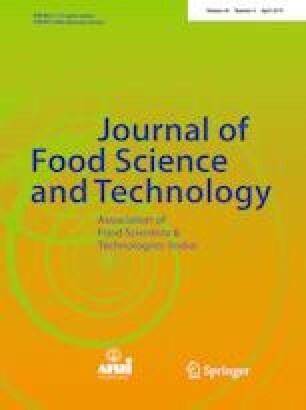 The mechanical, barrier, adhesion and antimicrobial properties were also studied to use for food packaging applications. The polypropylene film was surface modified with oxygen plasma treatment for 60 s. The AgNPs are prepared by green synthesis method from the Digitalis purpurea plant. Then the carrageenan based nanocomposites were coated by roller coating method with the thickness of 24 μm. By using scanning electron microscopy, the morphology of the coating was investigated. The Laponite and AgNPs dispersion was analyzed by X-ray diffraction analysis. The tensile and adhesion strength of the coated film was increased and the OTR and WVTR were decreased after the incorporation of Laponite and AgNPs. It exhibited the strong antimicrobial activity against the E. coli and S. aureus. The online version of this article ( https://doi.org/10.1007/s13197-019-03735-4) contains supplementary material, which is available to authorized users.